I can't believe it's here... the last Monday of 2014. I never imagined that when I started this #BOYMOMS series almost a year ago, that I would be able to fill every Monday of the year with a story about a mom and her love for her son(s). The overwhelming desire to share the love stories has been amazing. A huge THANK YOU to all of you who have participated! 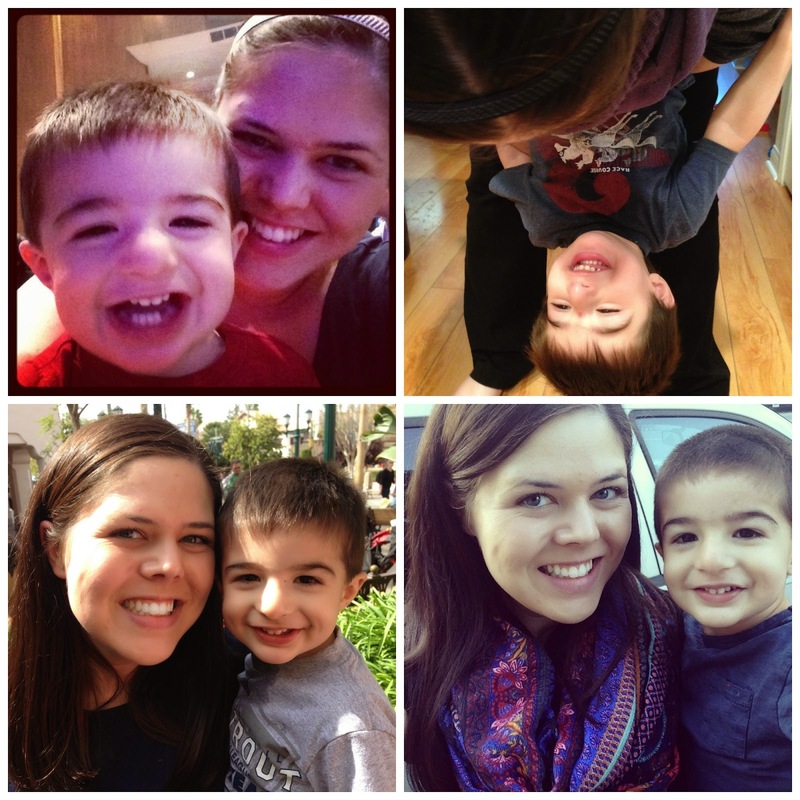 To wrap up the year, this week I wanted to share the reasons that I love being a toddler boy mom! 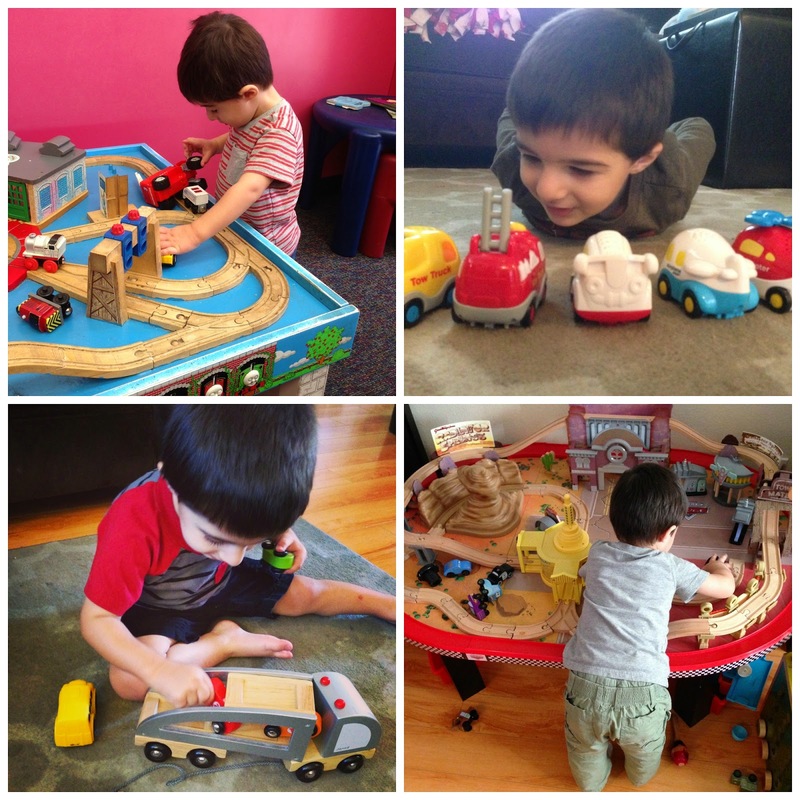 Trucks, Cars, Trains, Planes, and anything with wheels! ...have taken over our house and our lives! Sure my house looks like a tornado hit it e.v.e.r.y.d.a.y. but I wouldn't have it any other way! 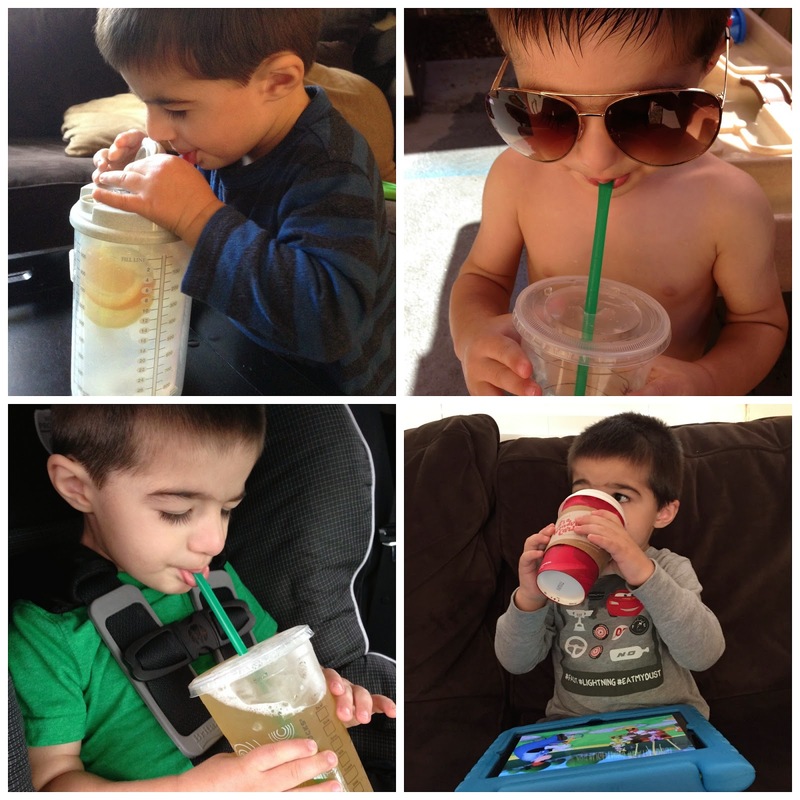 Mason is a constant whirlwind of energy and is constantly getting into something or doing something he shouldn't be. 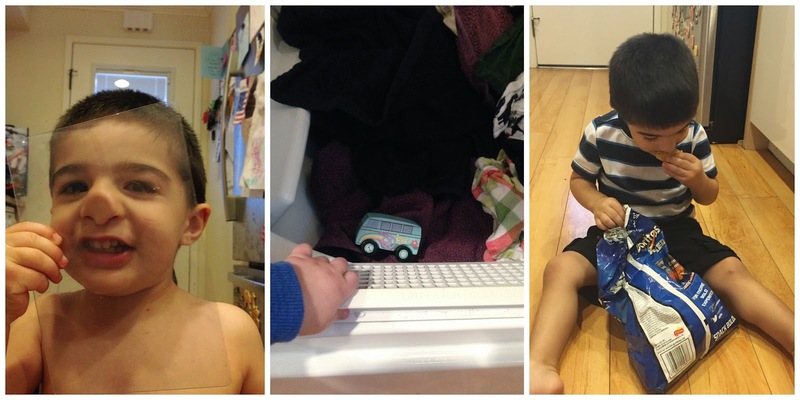 I am always finding things where they shouldn't be found -- cars in the dryer, sippy cups in the trash can, and airplanes in the dishwasher. I thought I was going to be missing out on dressing like my child when I had a boy instead of a girl. Turns out that shopping for a boy is just as fun as shopping for a girl as is dressing my boy similar to his daddy! Sure he and I might not be twinning but to see Mason and my husband dress the same just melts my heart. 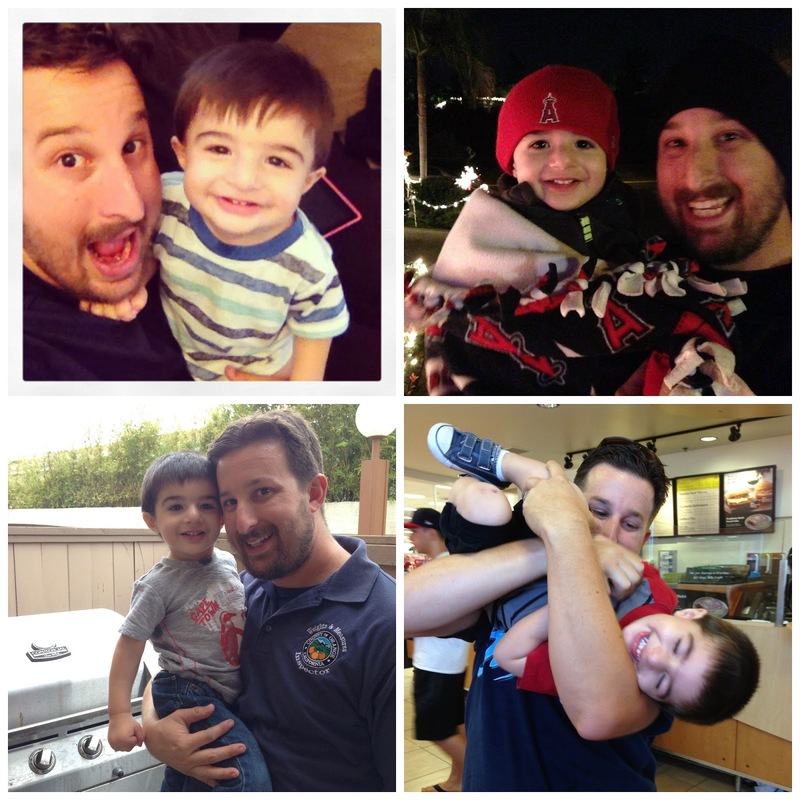 And while we're at it... just seeing my husband and Mason together melts my heart too. Mason got SO many wonderful toys for his birthday back in July that I didn't want to open them all at once. I wanted to save some for a (hypothetical - it barely rains in California) "rainy" day. Well that day just happened to be a couple weeks after his birthday since Mason found where my hiding place was (which wasn't actually very hidden under his Cars table). Well he pulled out his Jake Legos and was SO excited to see them! He brought them over to me, handed them to me, and signed "please" so naturally, I did what any mom would do. I opened them. I started building them (while Mason threw all the pieces that I needed all around the house). I finished building them. Mason lost Jake (and I couldn't find him for hours). Mason took apart my creation. And then Mason took a nap. And then what did I do? I cleaned up the house and... re-built the set we had opened. And I opened the other two sets and built them myself (and totally re-lived my childhood when all I wanted to do was build the Lego sets and then have my brother play with them LOL. Sadly this did not always work out because he enjoyed building as much as I did). 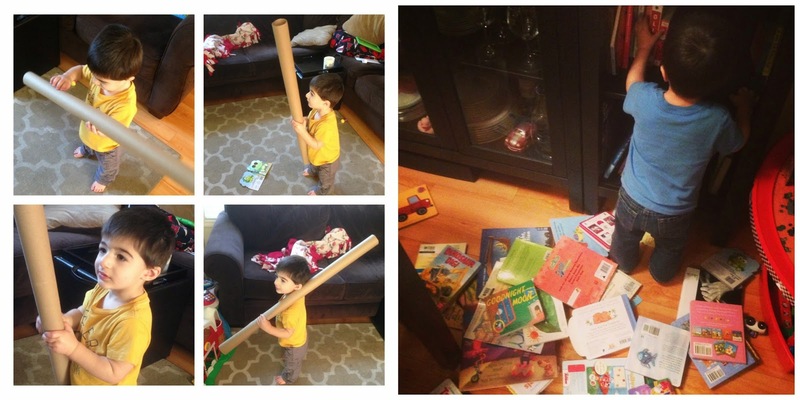 And of course then Mason woke up from his nap and promptly destroyed them again. When I first found out I was having a boy, I thought I was going to be missing out on so much. I'm a girl... I only know about girl things! 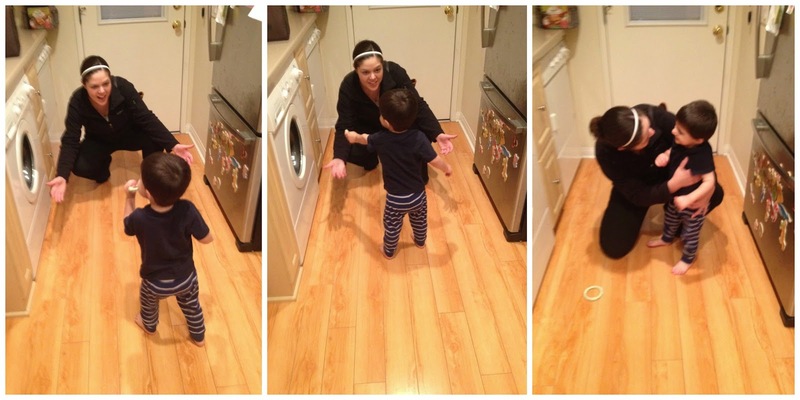 But to hear my boy say "mama!" just melts my heart and makes me come running. I couldn't imagine my life any other way. 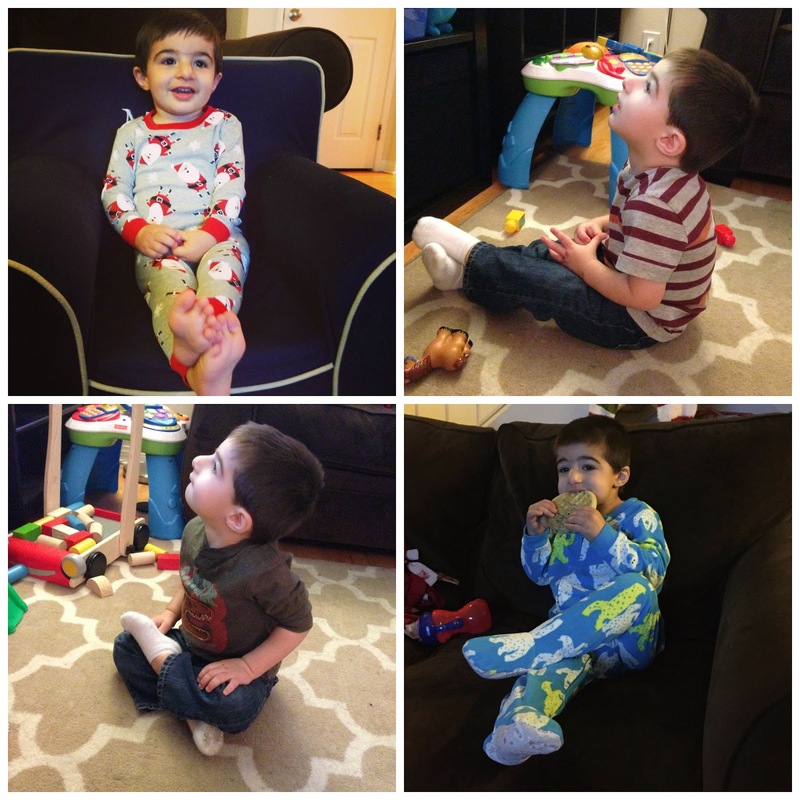 Can't wait for what the rest of the toddler years have in store for us (except the tantrums... I could do without those for sure!). I have big plans of being a soccer/baseball mom in the near future! There are so many little things that he does (that little girls probably do too, but I have nothing to compare it to) that I just love. ...the way he runs up to me when I get home from work, has a huge smile on his face, and gives me the biggest hug. ...or so we think. We've taken him to quite a few Angels games so far and he always seems to enjoy himself. 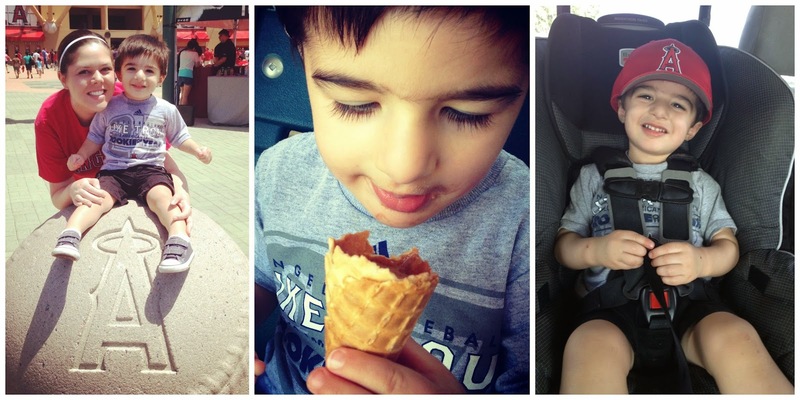 Sure he doesn't sit still the whole time and we often have to leave early and I'm sure his favorite part is actually the ice cream and not the baseball, but I have high hopes for the future! This is both a love and a hate for me. I'm sure this will be getting him into much more trouble than he's already gotten himself into as his grows up, but I love how adventurous he is right now. 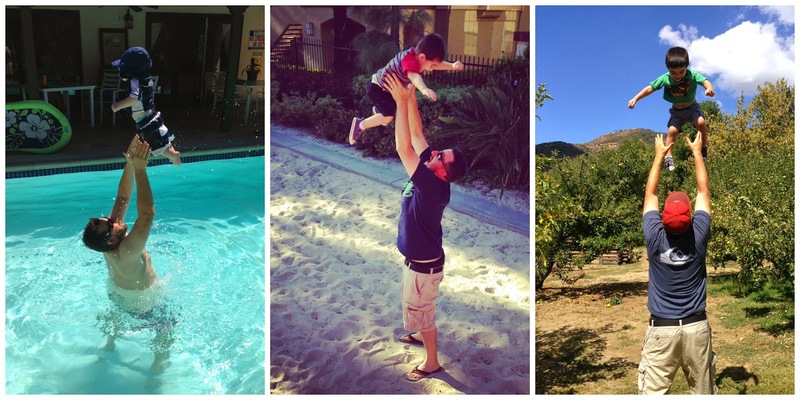 His dad throws him in the air (and I have a heart attack) but Mason LOVES it. 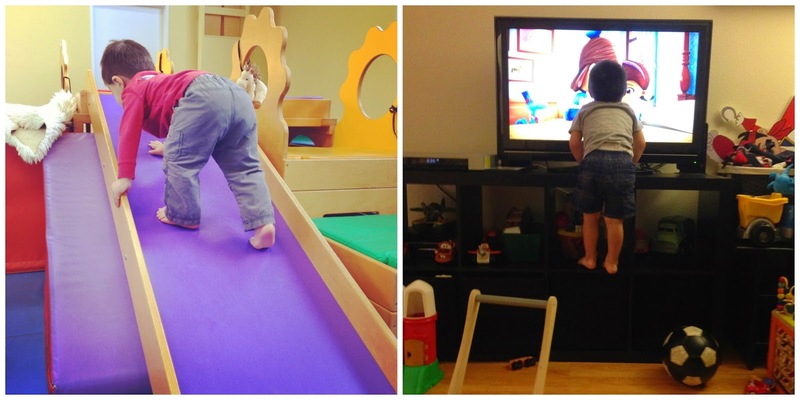 He has no fear at Gymboree, at the park, or at home and loves to climb on everything. Needless to say, I love being a boy mom. It's not how I envisioned my life when I imagined having kids since I always thought I would be a girl mom, but now I wouldn't change a thing in the world. Oh the twinning!!! We all know I LOVE matching Mia... but goodness. 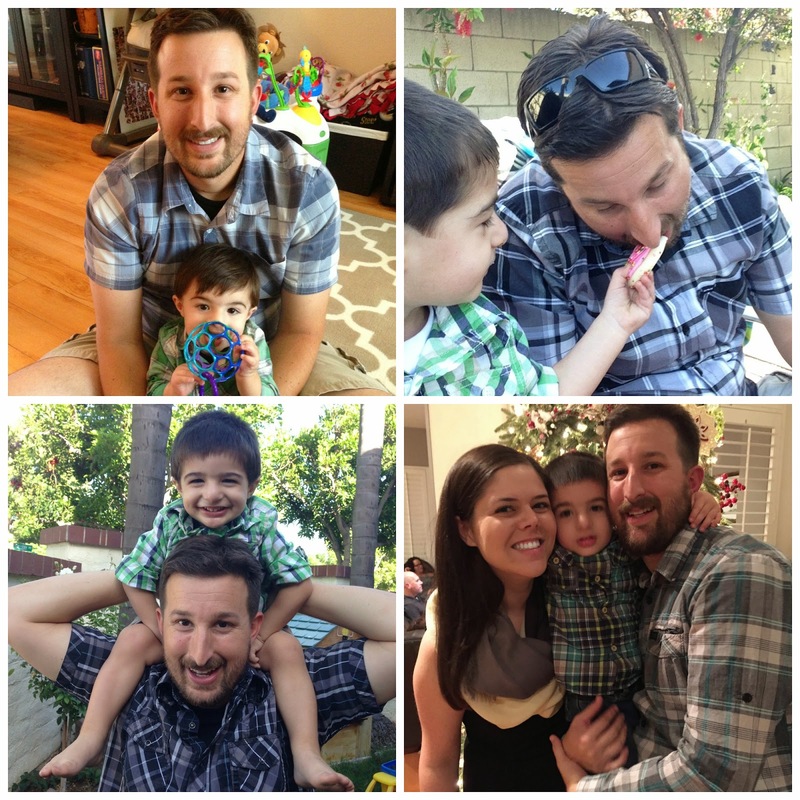 The idea of matching a little boy with Eric? Melt my heart! I also hope I can experience the mother-son bond someday! You hit the nail on the head! I couldn't agree more with each and every one of these points! Thanks for the series and a bigger thanks for allowing me to be part of it! 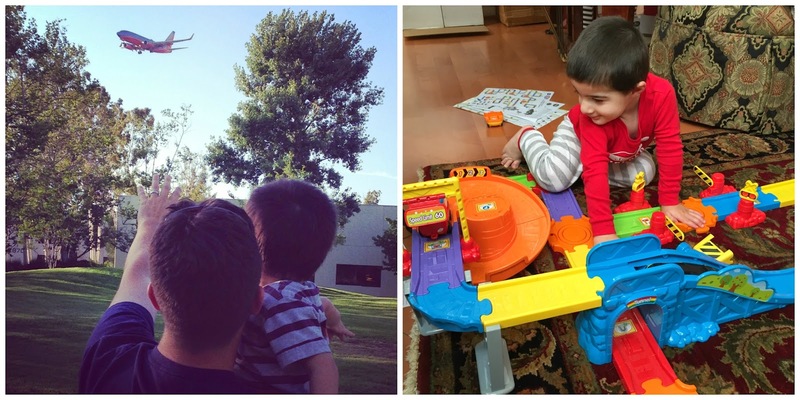 I've enjoyed each and every one of these #boymom Mondays! Ahhhhh Love this post so very much!!! My mama has always said there is no love like a boy's for his mama. All of this makes me so excited to think we could possibly be adding a little boy to our little family next year. Looks like they are so much fun! [It's the Little Things] A family photo. [Christmas Fun] Blogger Holiday Gift Exchange. [Link Up] Christmas Desserts & Tacky Sweaters!